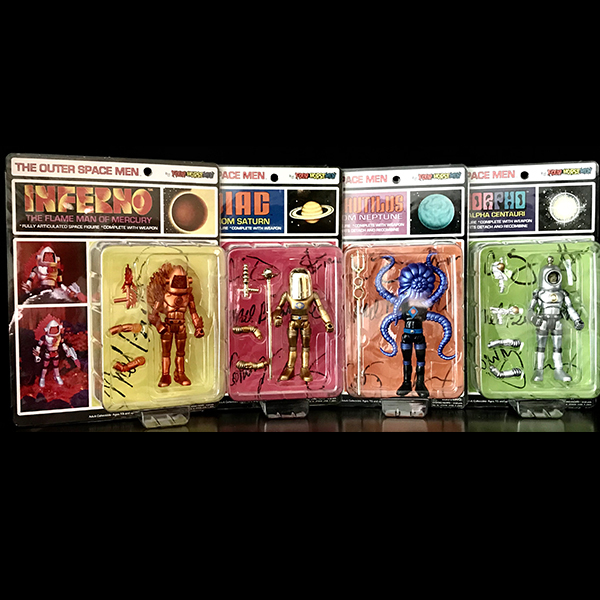 FOR THE FIRST TIME IN YEARS WE DID A GALACTIC HOLIDAY EDITION FOR 2017. 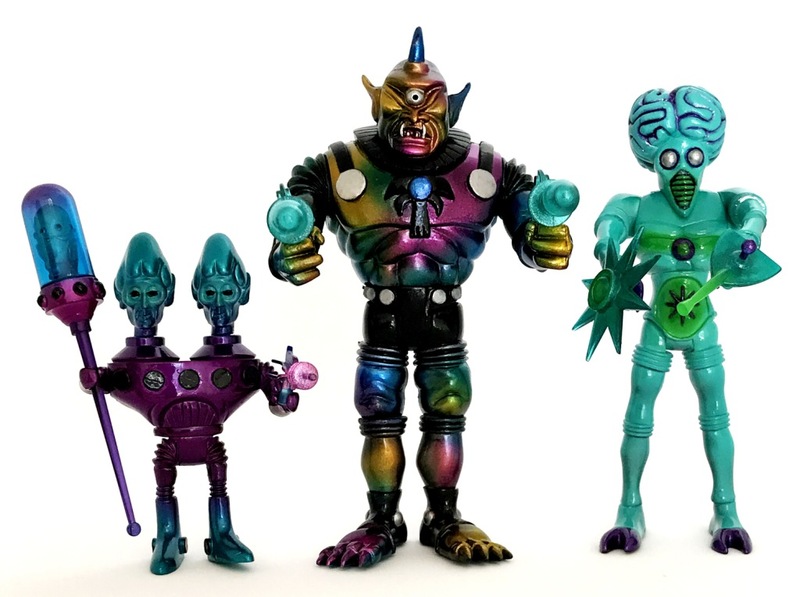 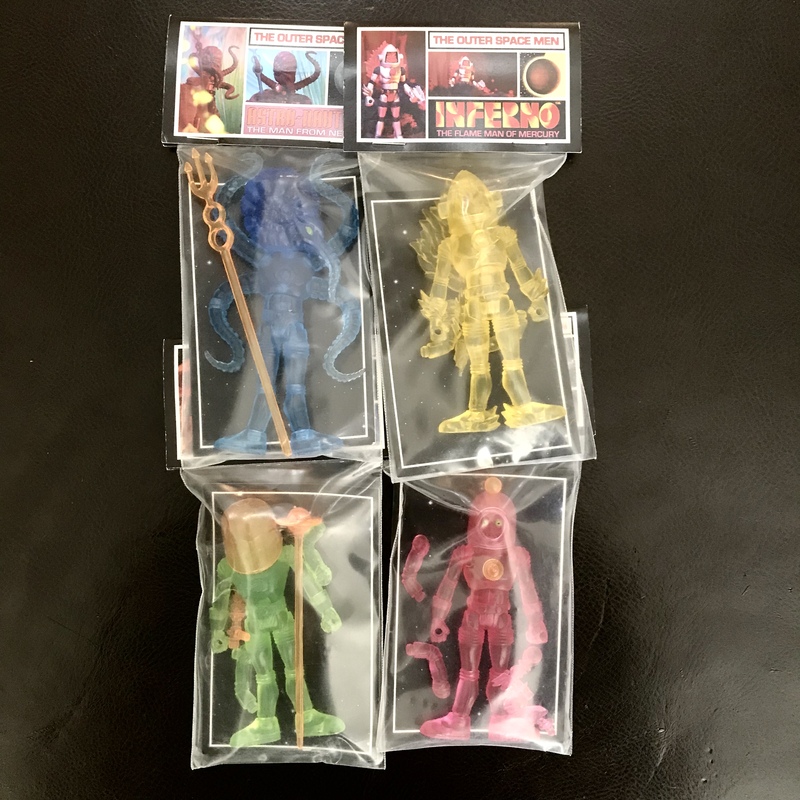 THIS INCREDIBLE SET OF 3 OUTER SPACE MEN FIGURES WERE DESIGNED AND PAINTED BY ONE OF THE GREATEST ARTISTS OUT THERE; TOPHEROY. 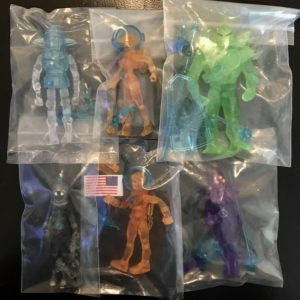 CHRIS CREATED PROBABLY THE BEST SET OF HOLIDAY OSM EVER AND WE ARE PLEASED TO PUT UP THE LAST FEW SETS LEFT.